Why Do All Zippers Have the Letters YKK on Them? 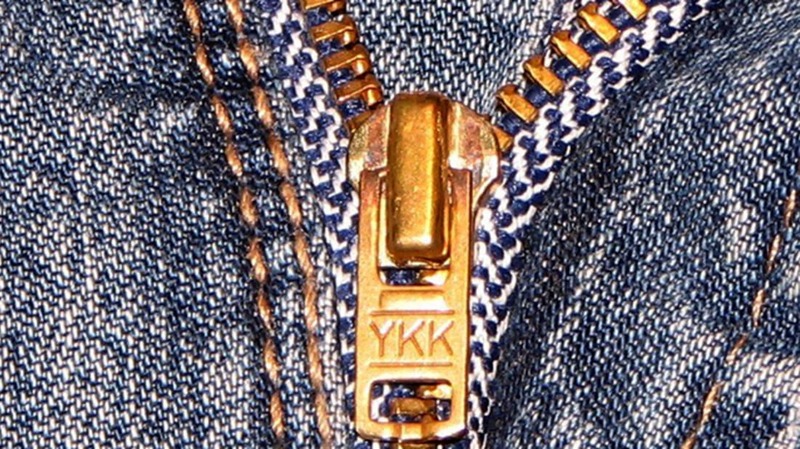 If you look down at your zipper, there’s a hefty chance it bears the initials YKK. Why? The letters stand for Yoshida Kōgyō Kabushikigaisha, a name that translates to "Yoshida Manufacturing Shareholding Company." A shrewd businessman named Tadao Yoshida founded the zipper behemoth in Tokyo in 1934, deciding to focus on just one simple product—an essential tool used to fasten clothes, accessories, and other products all over the world. The company has since expanded into all types of fasteners and snaps, plus some architecture materials, but it remains a cornerstone of the zipper industry, operating in 71 countries internationally. By one estimate, YKK makes half the zippers on Earth—more than 7 billion a year. The company has a reputation for making strong, dependable zippers in a bazillion colors and sizes. Moreover, the company cornered the overseas market for clothing early, making them a titan of the fastener industry. That's why you're more likely to see their brand on your jeans and parka than anyone else's.